If you Google “rodent removal Franklin TN” or “mice/rat control near me” you’ll get lots of results for local pest control companies that do professional rat removal and mouse control. But if you scroll on down, you’ll find some pretty disturbing articles about the rodent increase in the U.S. It is estimated that there is one rat for every person living in the United States. Just last year, calls to major exterminators for rat problems more than doubled in cities like New York and San Francisco. In Nashville, which is having incredible population growth, Bug Authority is also seeing an increase in calls for rodent and mouse control every year. With the onset of cold weather in fall, you may start to see more signs of rodents in your home. This is because rodents start to search for food and shelter in a warmer place. They can enter any opening larger than ½-inch in diameter, which means they can squeeze into your home through the space around a pipe or conduit, under doors, and through gaps between a window and the frame. Be sure to seal these openings when you find them. There are some other things that you can do to discourage rodents, see our previous blog for tips, but mice reproduce at a staggering rate. It requires professional help to prevent an infestation. If you think you have a rodent problem, please contact Bug Authority a 615-472-1292. If you are not sure if you have a problem, look for the tell-tale signs – droppings and signs of gnawing. Both mice and rats constantly gnaw. 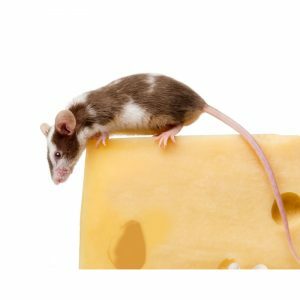 Mice are mostly nibbling to find something to eat, but this can ruin lots of food stuffs. Rats, on the other hand, gnaw things that they know are not food just to be gnawing. They can reduce a baseboard to a pile of splinters!